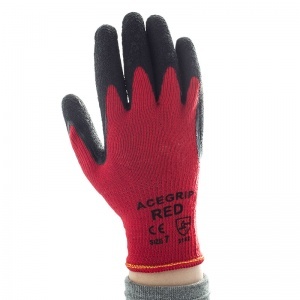 The AceGrip Red General Purpose Latex Coated Gloves is a tough, general purpose, premium quality glove suitable for a wide variety of applications. 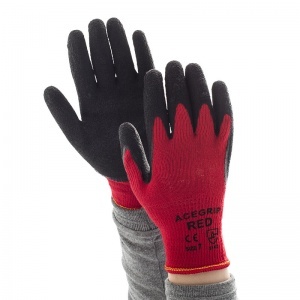 The seamless polycotton liner featured with the AceGrip Red General Purpose Latex Coated Gloves is soft and comfortable for the wearer. 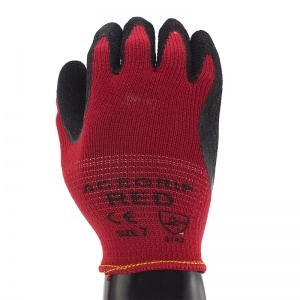 The crinkle finish latex coating on the AceGrip Red General Purpose Latex Coated Gloves gives excellent grip, good durability and resistance to abrasion. Sanitized hygiene function brings increased freshness, comfort and protection. 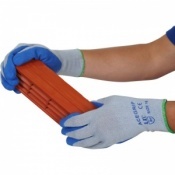 The AceGrip Red General Purpose Latex Coated Gloves have been sized according to EN 420, which governs a range of features about gloves including standardised sizing. Please measure the circumference and length of your hand and see below for the size of glove that is necessary. 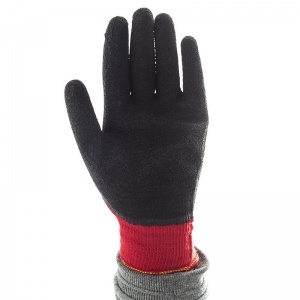 Four sizes of these gloves are available. 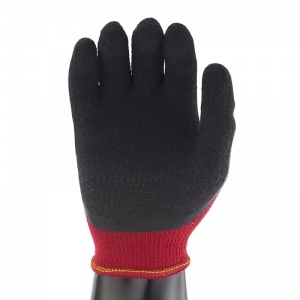 I had been looking for an alternative supplier for these gloves that I use every day in my gardening company. My original supplier has stopped stocking them. 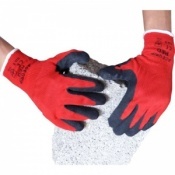 Safety Gloves not only offered them at a decent price, the delivery time was astounding, ordered one day, delivered the next even when using standard delivery! Thanks a million! Tested in the toughest construction industry environment, scaffolding almost bullet proof!! !